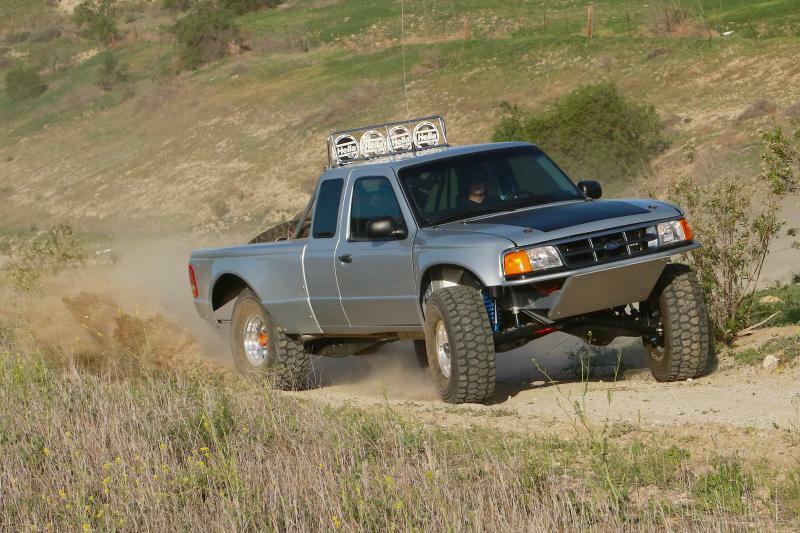 This 1997 Ford Ranger 4×4 is owned by Andy Waters of Moorpark, California. 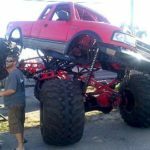 Its tube frame was built by Weitzel Motorsports of Santee, California. 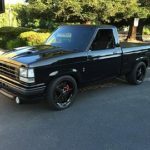 Additional work was done by Stewart Raceworks of El Cajon along with Unique Metal of Oceanside, California. 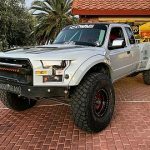 The final work was done by Roper Design of Ventura, California, and utilizes a Roper Design equal length Dana 44 TTB. 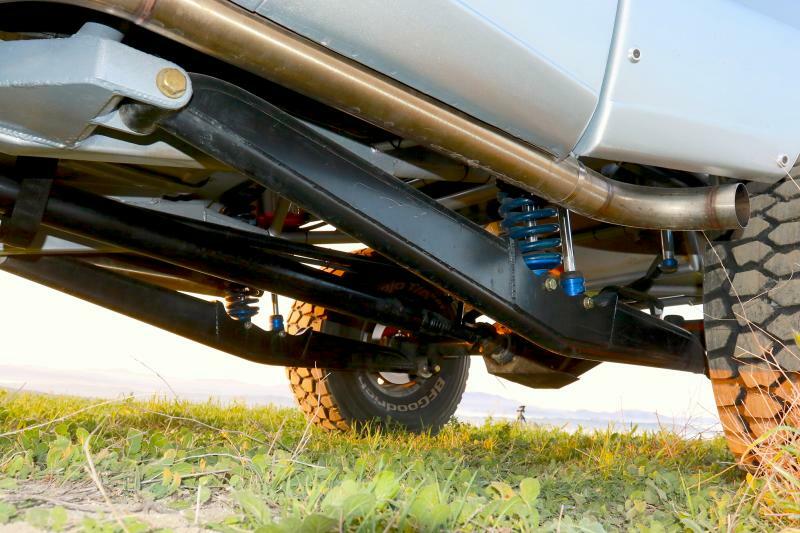 The Dana 44 uses Coyne Industries spindles and finishes off with Wilwood Powerlite calipers and rotors. 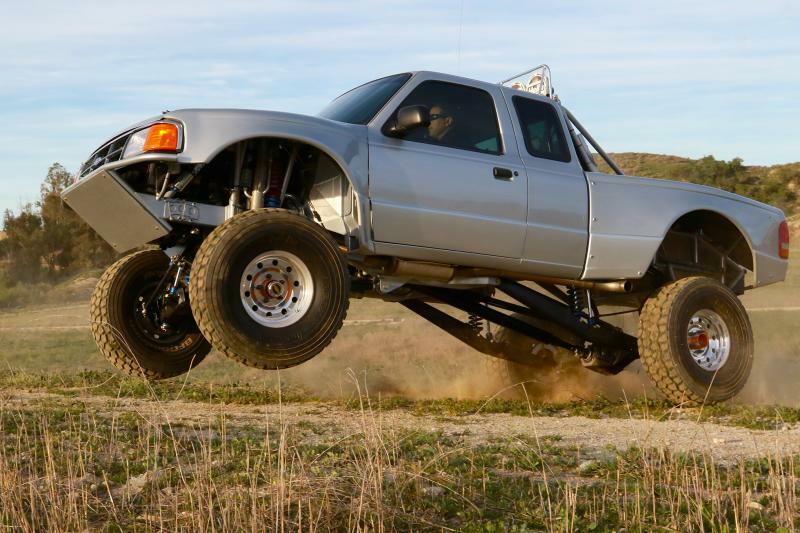 Howe Performance steering components make sure that the Ranger is running straight and true. 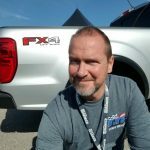 Fox 3.0 quadruple bypass shocks along with Fox 2.5 coilover smooth out the ride on. 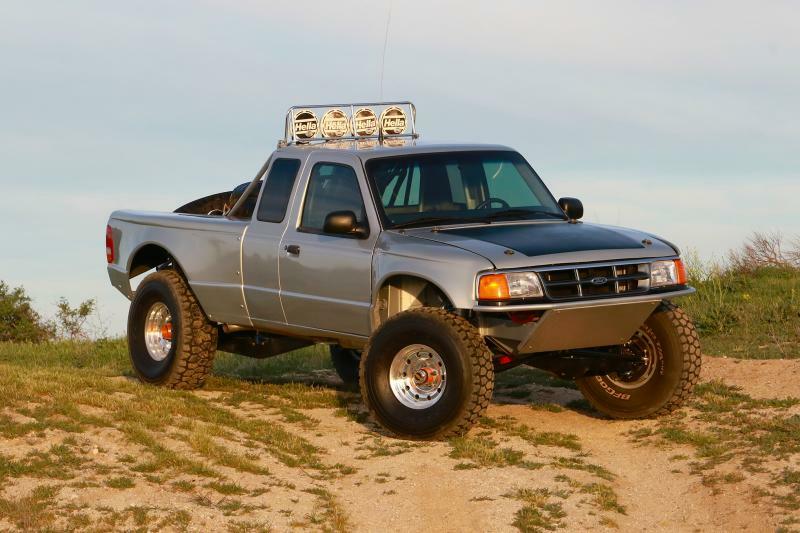 Alcoa 15×8 wheels are skinned with 35-inch BFGoodrich KR2 tires. 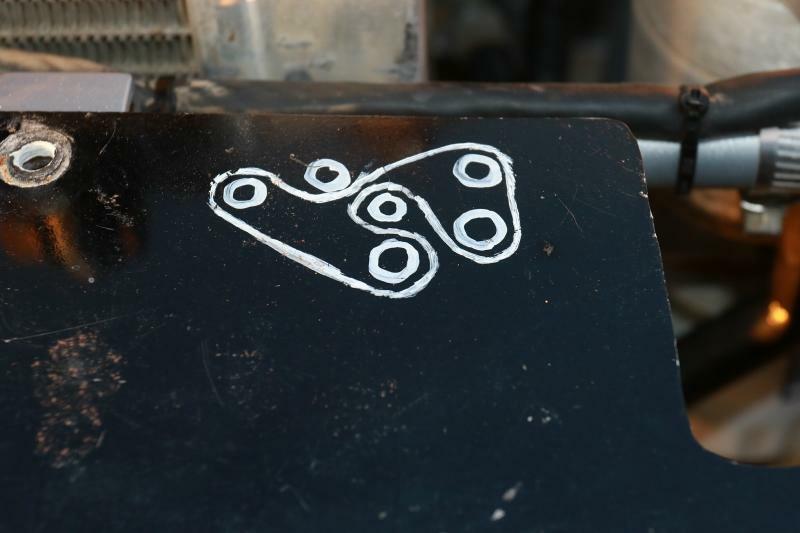 Power is supplied by a Ford 5.0L stroked to 347ci’s. Roper Design tuned equal length stainless steel headers route the spent gasses to stainless steel Magna Flow mufflers. 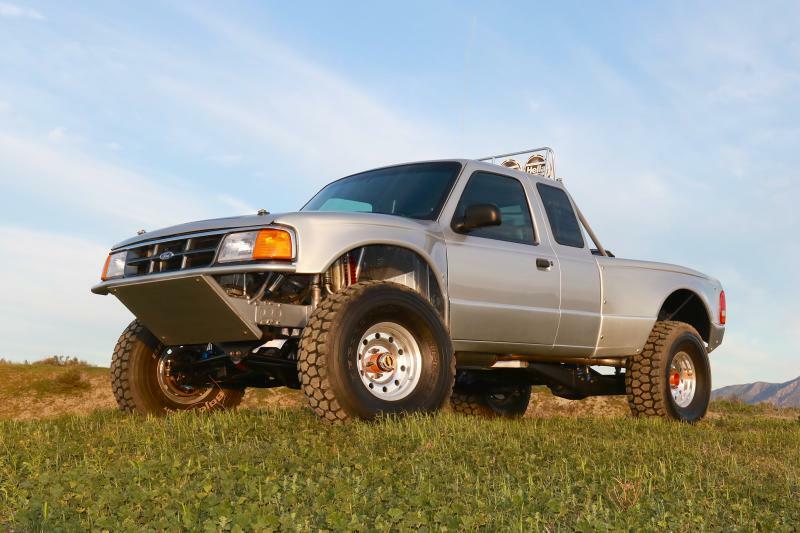 Other upgrades include a complete MSD ignition system and a K&N air cleaner. 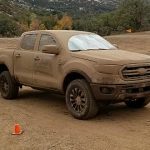 A pair of Fluidyne coolers do the job of keeping the Ranger running cool. 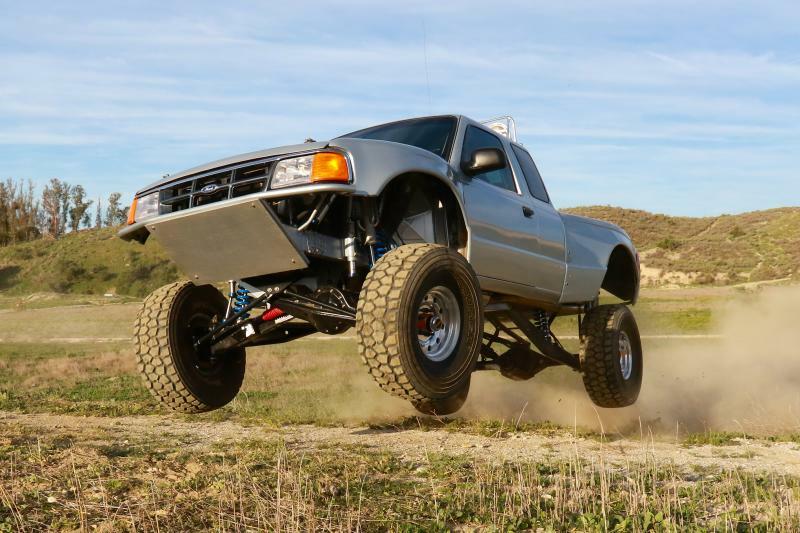 A Mogi built C6 and an Altas transfer case sends the power to the Cone Industries 9-inch rear end, and Dana 44 front axles. Both are equipped with 4:11 gears. 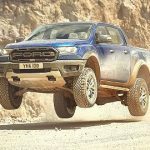 The interior is designed to be fully off-road functional, but also has a few touches of comfort. 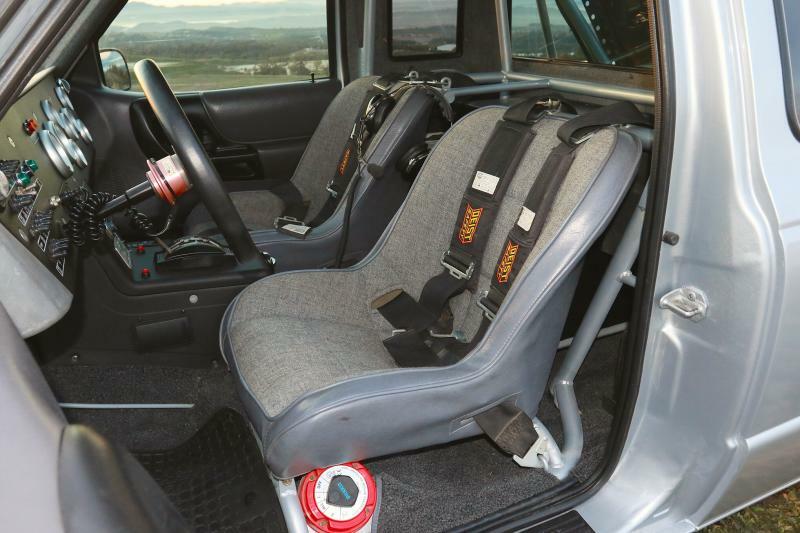 A set of Mastercraft bucket seats and Deist Safety harnesses keep the occupants in place, while a MOMO steering wheel, Winters floor shifter and CNC pedals give the driver total control. 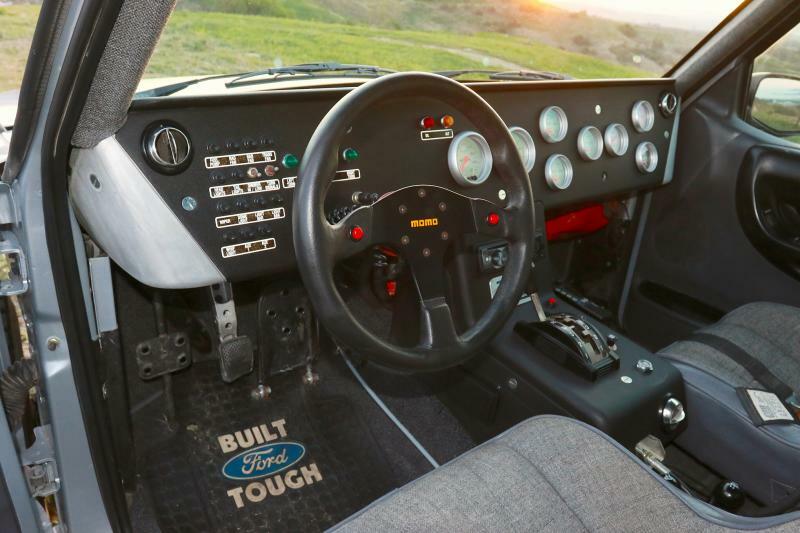 The dash and console was built by Unique Metal, and houses Auto Meter Pro-Comp Ultra-Lite gauges, electrical switches, as well as the PCI intercom system. It also has a Pioneer stereo system as well as a Vintage Air Air-conditioning system. Pro Wire of Santee CA. did all of the intricate wiring chores. Tip Top Auto Body of Ventura covered the steel cab and fiberglass fenders in silver paint. Unique Metal had also built out the bed by adding various bed articles, as well as a toolbox. 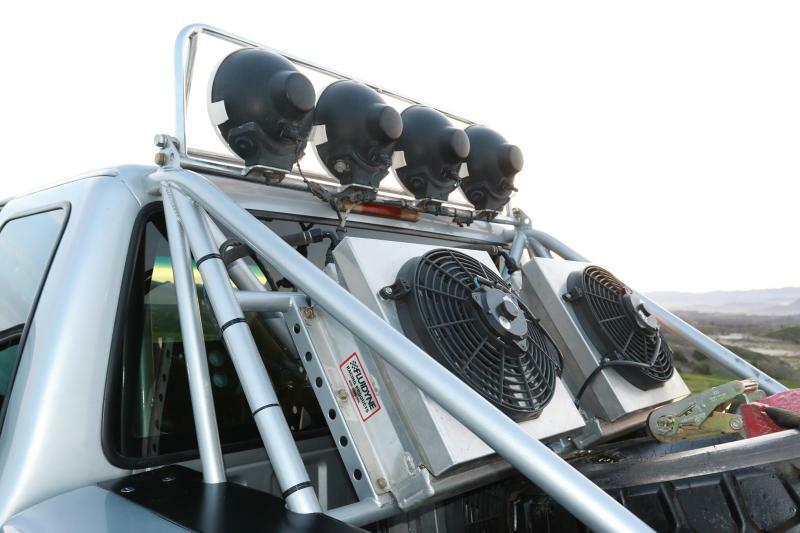 A quartet of 7-inch HELLA lights have been mounted to an articulated mount atop the bed cage that also mounts two more BFG KR’s and the aforementioned Fluidyne coolers. 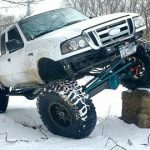 Sitting inside (and atop) the Weitzel Motorsports cage are twin BFGoodrich KR2 tires mounted on Alcoa wheels, twin electric fan-equipped Fluidyne coolers and four Hella lights. The 347 CID Ford V8 also features a MSD ignition, K&N air filter and Roper headers. 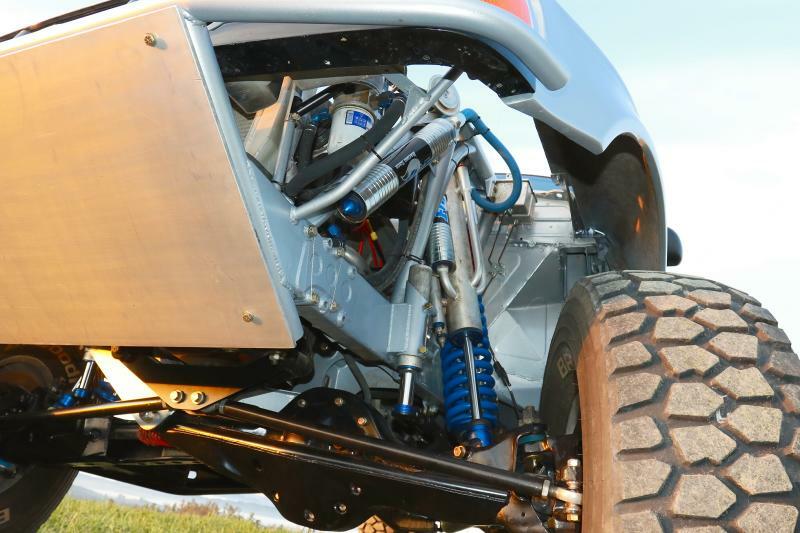 Each side of the Weitzel Motorsports enhanced frame houses a Fox quad-bypass and 2.5 coilover shocks and bumpstops. 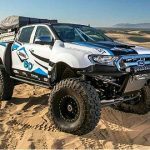 They dampen a Roper Design equal length Dana 44 TTB that uses Coyne Industries spindles, Wilwood Powerlite calipers and rotors and Howe Performance steering components. The Mastercraft low-back seats are held securely to the Weitzel interior cage while the Deist Safety harnesses hold the occupants safetly in place. Unique Metal produced the beautiful aluminum dash and center console. 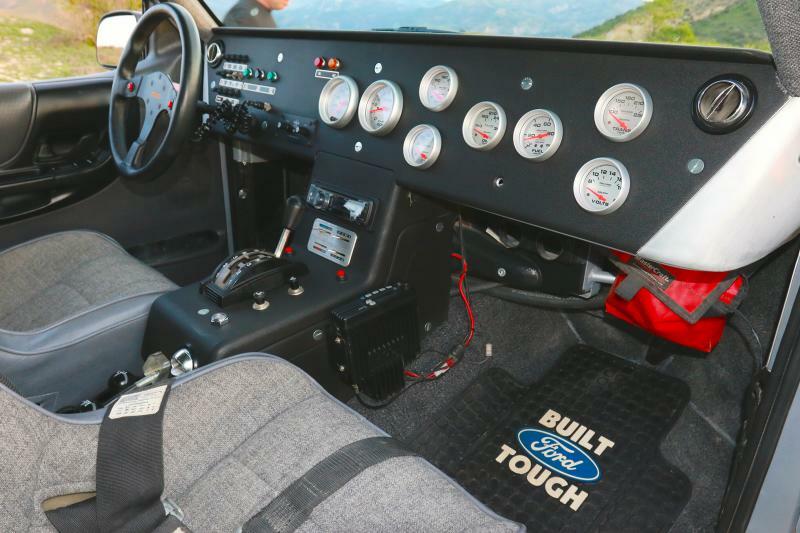 The dash houses Auto Meter gauges as well as the PCI Race Radios comm system. Also note the A/C vents. 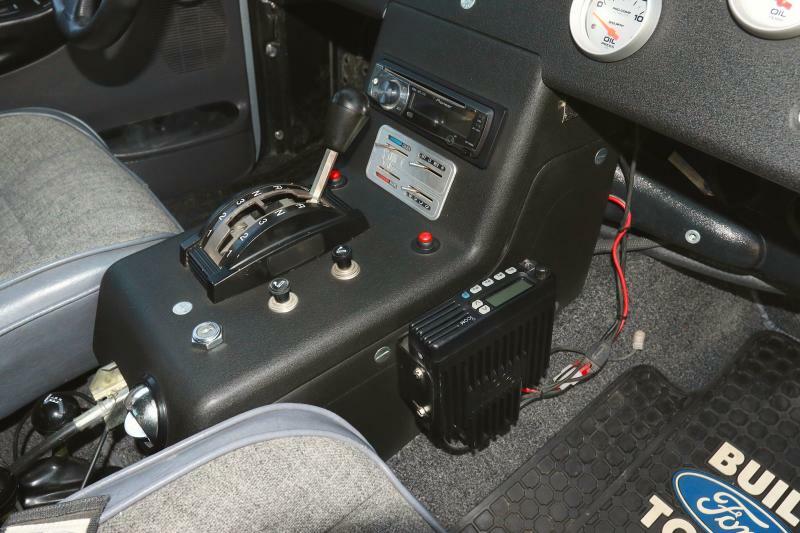 A Winters shifter dominates the Unique Metal center console, but there’s still enough room for the Pioneer stereo and Vintage Air air-conditioning system. Note the larger gas pedal! 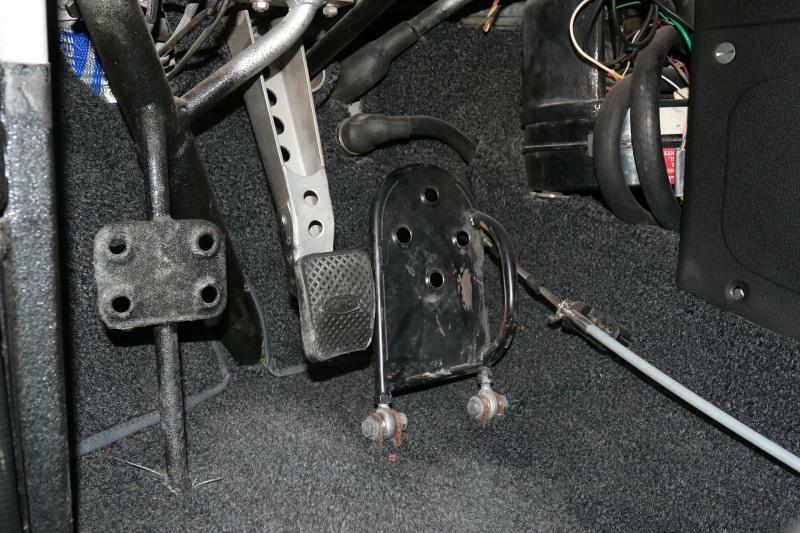 A CNC brake pedal is used and a foot brace has been installed as well. The MOMO steering wheel gives the driver a good grip, and the numerous electrical switches control lighting, pumps and fans. 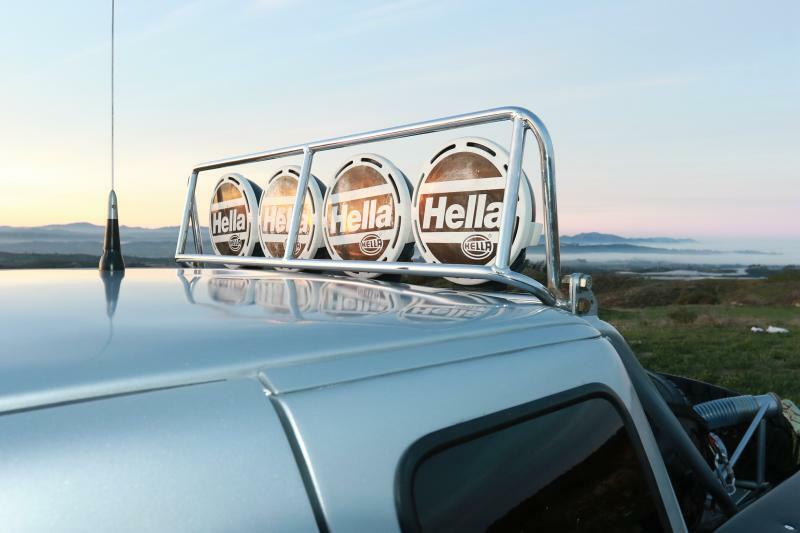 7-inch Hella lights are mounted on top of the bed cage, but in an articulating mount. That way they can be up when needed, and back and out of danger when not. 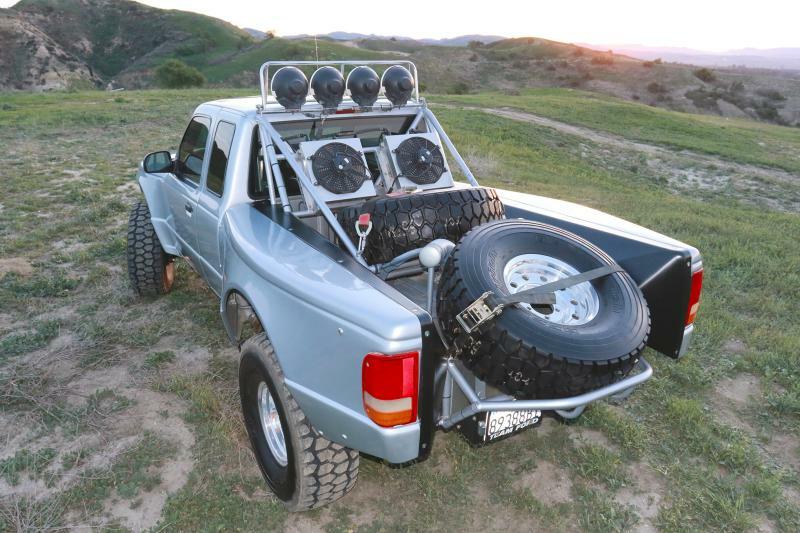 A pair of electric fan equipped Fluidyne coolers keeps the Mogi built C6 trans cool.